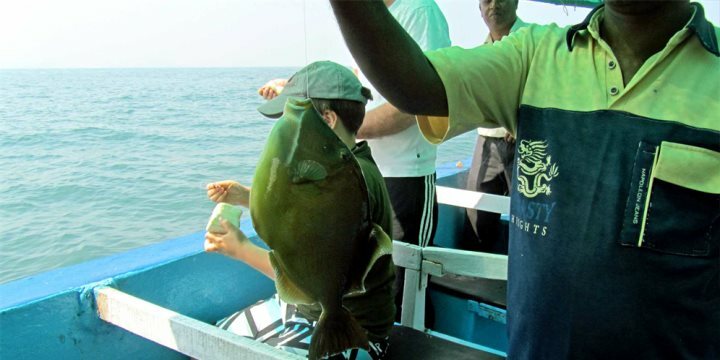 Float along the beautiful waters of the Zuari River and discover a throng of activity, wildlife and adventure. Whether you embark on this tour to encounter dolphins, try your hand at fishing or to find relaxation on a blissful beach, the Castaway Cruise will tick your boxes. Take to the stunning waters in and around Goa on this relaxing and rewarding tour which embraces adventure and the open sea. Boarding your boat at Dona Paula Jetty after being picked up from your hotel, you will begin your cruise along the waters of Goa’s iconic Zuari River, floating towards Mormugao Harbour. As you travel along the water, you’ll have the opportunity to spot a plethora of action, including the activities of iron ore barges, shippers, fishing canoes and trawlers. And it is here when one of the highlights of the trip will begin, with the opportunity to spot wild bottle nose dolphins in the bay waters. You’ll get plenty of time to see and photograph the dolphins, and the boat motors will be switched off to ensure minimal disturbance to them. After your time with the dolphins, we’ll then cruise further into the open water towards the beautiful St. George Island, where you will stop at selected locations around the island which are famed for clear, calmer and clean water. At this point you’ll be given a choice of activities. You can either test your patience with a spot of fishing, or alternatively get active in the water with a rewarding snorkelling experience. After these activities you’ll sail on to a beautiful beach location where a delicious and rejuvenating buffet lunch will be served. After eating, you can sunbathe on the beach or paddle in the water as you enjoy the sunshine, before hopping back on board for your afternoon return at Dona Paula Jetty.